SteelSeries, the leading manufacturer of premium-quality, competitive gaming peripherals, today at the start of the 2012 Consumer Electronics Show (CES) in Las Vegas, introduced a new line-up of gaming peripherals. Kicking off the mouse category for SteelSeries in 2012 is the SteelSeries Kana, also known as the Designed by Gamers mouse; and two editions of the new version of the SteelSeries Kinzu, the SteelSeries Kinzu v2 and SteelSeries Kinzu v2 Pro Edition. The SteelSeries Kana mouse was introduced to SteelSeries fans in the Designed by Gamers Campaign as Mouse 1.1, which gave more than 300,000 gamers the design choice and where 60,000 “Likes” determined the winning Black 1.1 design. The SteelSeries Kana, Kinzu v2 and Kinzu v2 Pro Edition are all powered by the SteelSeries Engine. It allows users to customize the mice with the ability for unlimited profiles, program buttons, set the polling rate, create macros, customize CPI settings, optimize your layout by recording movements and viewing a heat map of button usage and more. Illuminated scroll wheel with LED intensity options that can be assigned to indicate the currently active CPI profile. 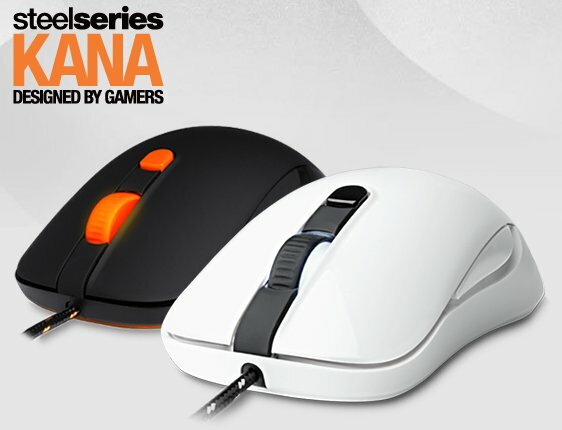 Available now on the SteelSeries Web Shop and select retailers, the SteelSeries Kana is $49.99 / €49.99 MSRP – http://steelseri.es/kana. Tournament-grade Omron button switches which are recognized by the industry and the community as reliable, high-end hardware components that deliver ‘best-in-class’ performance and feedback. Supports stable movement speeds at 65 Inches Per Second. 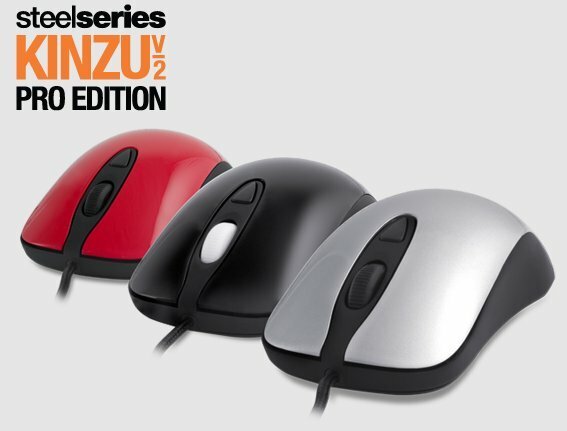 Available now on the SteelSeries Web Shop and select retailers, the SteelSeries Kinzu v2 Pro Edition is $44.99 / €44.99 MSRP – http://steelseri.es/kinzuv2pro. Identical features as the Kinzu v2 Pro Edition, with the exception of the Tournament-grade Omron button switches. 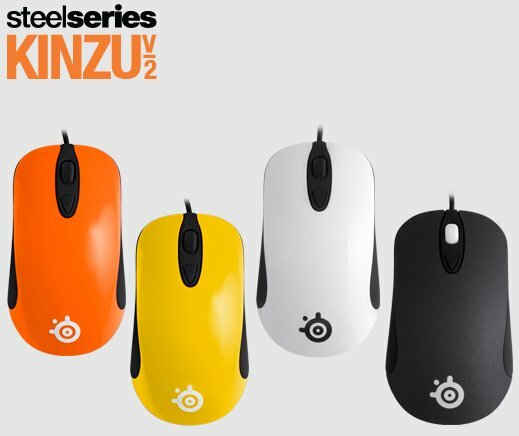 Available now on the SteelSeries Web Shop and select retailers, the SteelSeries Kinzu v2 is $39.99 / €39.99 MSRP – http://steelseri.es/kinzuv2.